LARGE 1.4 ACRE WOODED WATERFRONT LOT (2 PARCELS) GREAT FOR A NEW CONSTRUCTION WALK OUT BASEMENT HOME, PLENTY OF ROOM FOR HOME AND POSSIBLY AN ADDITIONAL DETACHED GARAGE. MOBILE HOME ON THE PROPERTY IS OF NO MONETARY VALUE, IT HAS NOT BE USED SINCE THE LATE 1980'S EARLY 1990'S. PIER/DOCK IS IN PLACE. PROPERTY DOES NEED SOME TLC BUT WILL MAKE SOMEONE A BEAUTIFUL HOMESITE! 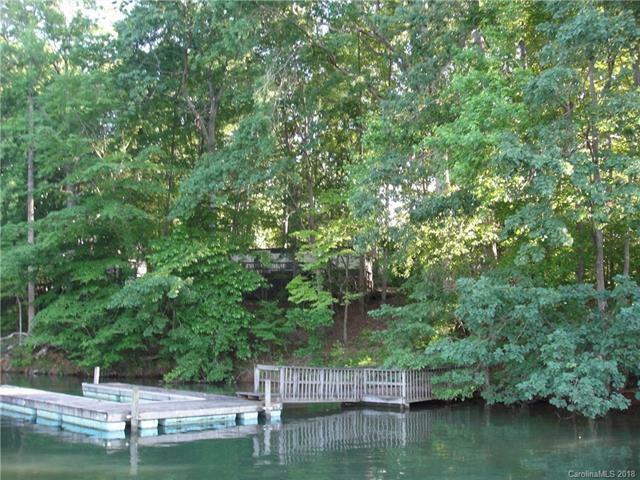 LOT IS JUST OFF OF THE MAIN CHANNEL NORTH OF THE 150 BRIDGE, VERY CONVENIENT LOCATION TO MARINAS AND ON WATER DINING! DON'T MISS OUT! Sold by Keller Williams Mooresville.